This past February in Tauranga, New Zealand, bands traveled from all corners of the globe to perform their distinct brand of reggae music at the One Love Festival. 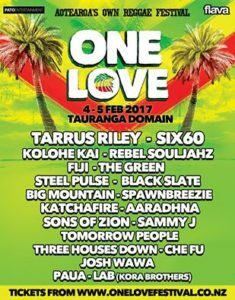 The United States, Bermuda, Hawaii, Europe, Jamaica and even some of the most prominent reggae acts locally in Aotearoa, like Katchafire, House of Shem, Sons of Zion, Sammy J, Kora, Tomorrow People, Three Houses Down, 1814, and many more were featured on the 2016 edition of the One Love Festival. 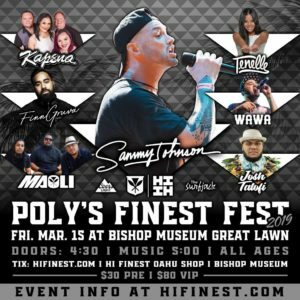 The international bands featured on the most recent One Love Festival included J Boog, Common Kings, Collie Buddz and Third World. 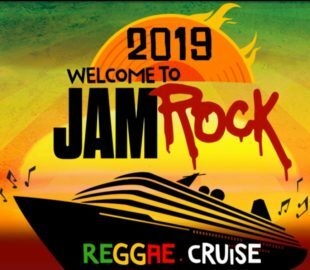 It’s not everyday, a music fan can take in the sweet sounds of these flagship reggae bands, sharing different styles and sounds within the worldwide reggae genre. 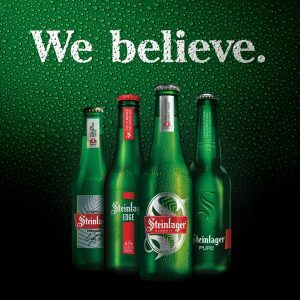 With the wide variety of reggae flavors featured at one festival, concertgoers’ palate will surely be satisfied. The final round of artists for the 2017 One Love Festival lineup have been revealed. 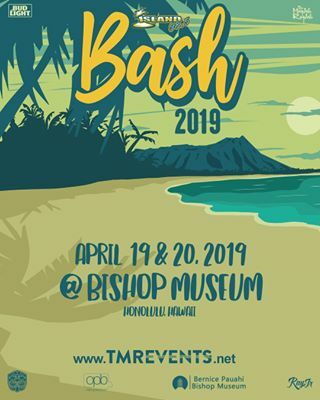 For this year’s festival, the performers include Tarrus Riley, The Green, Kolohe Kai, Rebel SoulJahz, Fiji, Steel Pulse, Katchafire, Big Mountain, Six60, Spawnbreezie, Sons of Zion, Sammy J, Tomorrow People, Josh Wawa White, Aaradhna, and Black Slate. 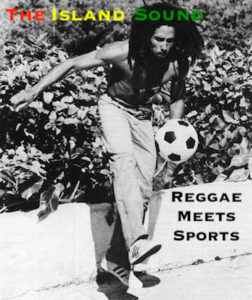 With the calendar still showing 2016, the One Love Festival has grown into such an internationally renowned music destination for reggae fans across the globe. Early Bird tickets are currently on sale. Ticket prices range from $99 for General Admission all the way up to $179 for VIP passes. For more information regarding the One Love Festival in New Zealand, follow the links below.